UPDATED: Thu., Sept. 7, 2017, 2:34 p.m. Kid Rock has again criticized NFL quarterback Colin Kaepernick, while insulting white supremacists and teasing at some kind of political future. 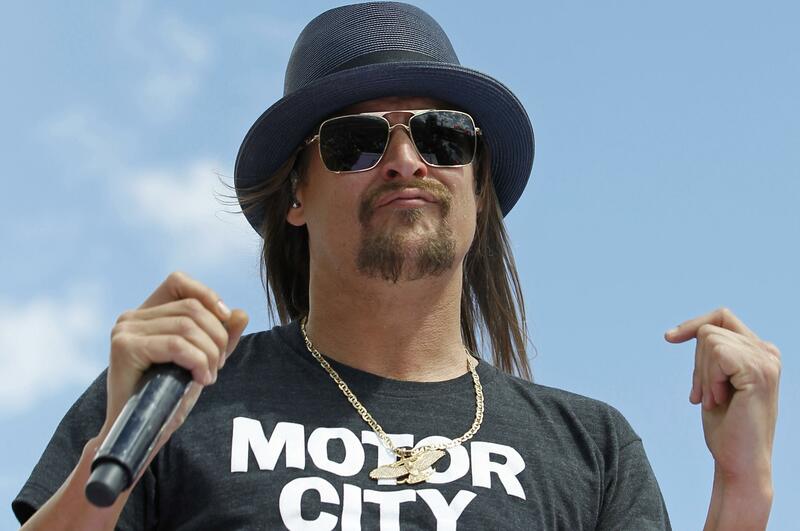 The Detroit chapter of the National Action Network, a civil rights organization, has demanded Detroit’s new Little Caesars Arena cancel Kid Rock’s shows next week. It plans to protest. Ilitch Holdings President Christopher Ilitch says he can’t control “what any artist does or says.” Ilitch Holdings owns the company that operates the arena. Published: Sept. 7, 2017, 2:33 p.m. Updated: Sept. 7, 2017, 2:34 p.m.